Karunesh, born Bruno Reuter is a German-born Newage and Ambient musician. His music has strong Afro-Asian and Indian influences prevalent throughout, with liberal use of Indian instruments, such as the sitar. Although he had been drawn to music as a child and played in bands as a teenager, he chose to study graphic design as a career. However, after attaining his degree, Karunesh was involved in a serious road accident. His brush with death prompted him to choose music as a career instead of graphic design. He rethought his life and embarked on a spiritual journey of sorts, traveling in 1979 to India. He became initiated in spirituality and took on a new name, Karunesh, a Sanskrit name, meaning compassion. 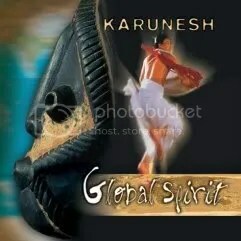 Back in Germany, Karunesh came in contact with many musicians from all over the world and developed an ability to weave different styles and feelings from different cultures together in a living symbiosis, creating a music that is both relaxing and spiritual. Presented here are a few tracks from his album Global Spirit. Karunesh is now living in Maui, in the US state of Hawaii, since 1992.